Arts Festival Update, Rehearsal Changes, Uniform Check Reminder, and We Need Your Help! Arts Festival Date Announced This announcement applies to all Principio and Music Experience students: We were indeed selected to perform at the OKC Arts Festival again this year. Congratulations! 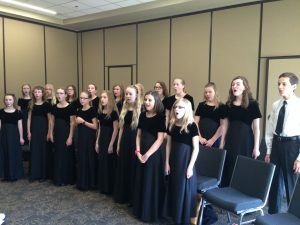 Our performance time is Wednesday, April 24 from 12-12:40 p.m. Students will need to arrive at … [Read more...] about Arts Festival Update, Rehearsal Changes, Uniform Check Reminder, and We Need Your Help! We have quite a few of new Principio members in the various locations that are needing dresses for the formal uniform. Unfortunately, Lands End is out of stock until May. If you have a Principio dress your child no longer wears, please post on the COHC uniform exchange page on Facebook. We are … [Read more...] about Looking for Dresses!